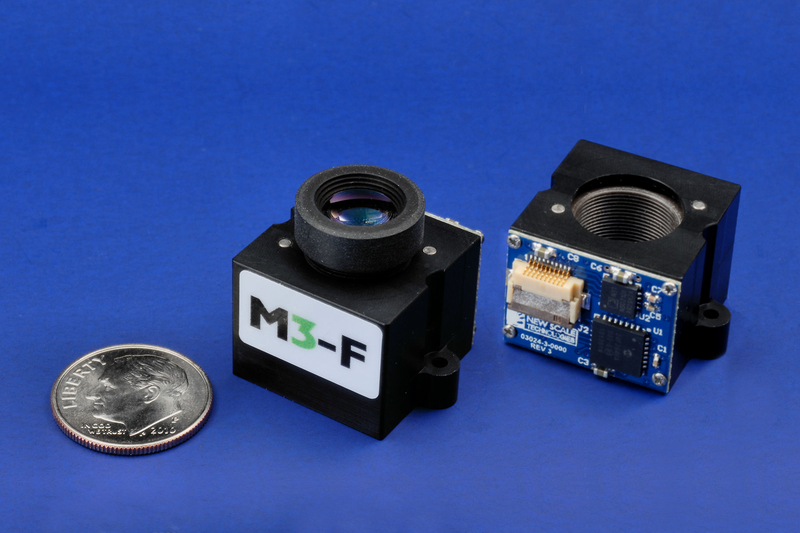 M3-FS focus modules add high-resolution lens motion, with excellent dynamic stability, to the smallest embedded optical systems in handheld and portable instruments. M3 Focus Modules incorporate a piezoelectric SQUIGGLE micro motor, built-in controller, position sensors and microprocessor on one tiny package. The developer’s kit includes an M3-FS or M3-F focus module that you can control from your PC using our New Scale Pathway™ Software. This provides a simple and powerful platform for easy evaluation of the module as well as for your system development. You can interface directly to the module via its serial interface for prototyping. The M3 modules in the developer’s kits can accept a broad range of lenses and accommodate image sensors up to 17 x 17 mm including 1/2″ and 1/1.8″ formats. (The lens and image sensor are NOT included in the kit.) For lens recommendations and guidelines for determining your image sensor and lens compatibility, please read the design note “Checking Optical and Imager Geometry”. 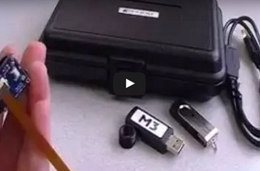 M3-FS and M3-F Developer’s Kits provide convenient engineering evaluation and demonstration of focus in your system. 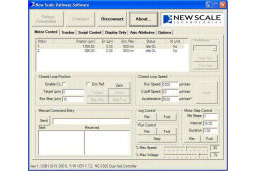 New Scale Pathway™ software lets you easily evaluate the micro stages and validate your embedded software. Control multiple smart stages from one PC screen. M3-F focus modules are easily integrated with your camera board and lens, and take up no more space than a fixed lens holder. No external controller is needed. M3 modules accept simple high-level motion commands directly from the camera processor, making system integration fast, simple and cost-effective. The application note M3 focus modules in embedded vision system design describes the use of the M3-FS and M3-F module in camera systems. It includes module details, comparison to other focus techniques, block diagrams and integration information, and discussion of bi-directional vs. uni-directional repeatability and other performance considerations. 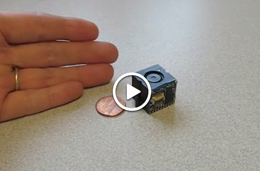 M3 Smart Modules integrate a piezoelectric SQUIGGLE® micro motor, precision mechanical guide system, position sensor, microprocessor, and drive electronics into one tiny package. Eliminating the need for external controllers, they offer the smallest system size and easiest integration into OEM systems. 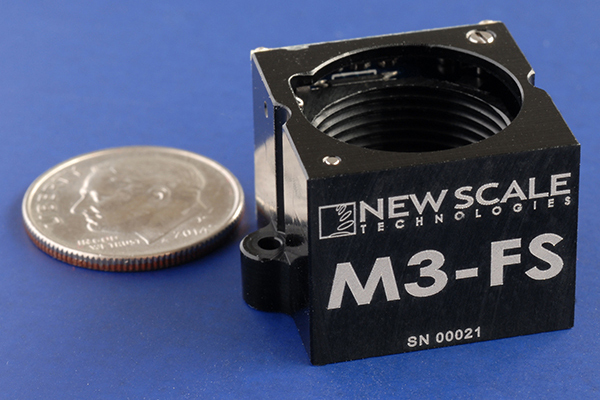 We use our configurable M3 Smart Module platform to develop customized focus modules to meet your exact specifications including longer travel, custom lens interface, mounting requirements and unique environmental considerations. We also develop full-custom micro motion systems. Ask us about a motion system feasibility study, the first step to faster, lower-risk product development. 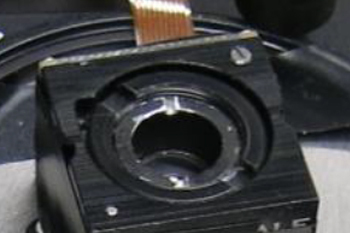 You may also consider our other imaging solutions including UTAF modules for micro camera applications. Contact us today to discuss your focus requirements.